With only 11 games left in the regular season, conference play is in full swing for Tulane men’s basketball. The Green Wave has suffered a season of lows, with a 4-15 overall record and an active nine-game losing streak. 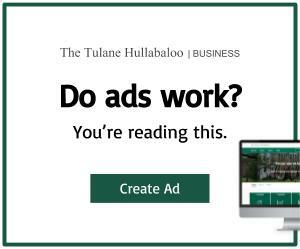 Tulane has yet to defeat another American Athletic Conference team, a reflection of their difficult schedule. Top-seeded University of Houston is looking nearly invincible this season with a 20-1 record, the team’s lone loss coming from an away game against Temple University. Houston has won its last four games, the most recent of which by a 44-point margin against East Carolina University. Houston hit 16 3-pointers that game and is currently ranked 13th nationally. Tulane will face Houston once in the regular season at home on Feb. 17. Another AAC team to look out for this season is Cincinnati, which crushed Tulane 93-61 earlier this month with Cincinnati four players scoring double digits. Cincinnati won the AAC championships last year and is 18-3 overall this season. Oddly enough, Cincinnati’s only conference loss was against bottom-seeded ECU. Junior guard Jarron Cumberland has been particularly impressive for Cincinnati this year, averaging 18.4 points and 31.0 minutes per game. The third-ranked team this season is the University of Central Florida, which played Tulane last week and won 75-50. The Knights are 15-4 overall, with only two in-conference losses. The Green Wave will play fourth-seeded Temple University at home on Feb. 2. Temple is 15-5 overall, with two AAC losses against UCF and Cincinnati. 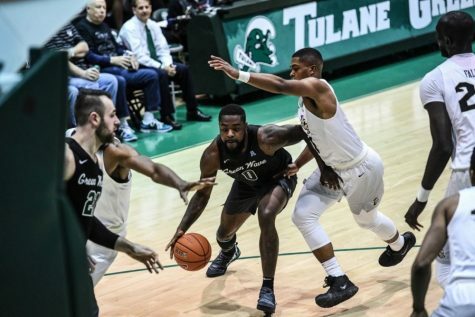 Tulane fans should look out for senior guard Shizz Alston Jr., a Philadelphia native who is averaging 18.5 points per game along with 2.6 rebounds and 5.2 assists. Joining Tulane on the other side of the rankings is Wichita State University, which has dropped to the 11th seed. Despite having similar statistics to last year, the Shockers have already exceeded their total losses from last season and are 1-6 within the conference. Wichita State is three-games under .500 for the first time since 2009. Still, the team has had a bit of a rough schedule, with its first five AAC games scheduled against the top five seeded teams in the conference. Tulane will play the 10th-ranked East Carolina University this Thursday, Jan. 31 in North Carolina. ECU is 8-11 overall and 1-6 within conference despite the off-season hype surrounding the acquisition of head coach Joe Dooley for his second stint with the Pirates. The Green Wave will play ECU again at home in late February, so fans should gear up for this game in the hopes of a competitive matchup. 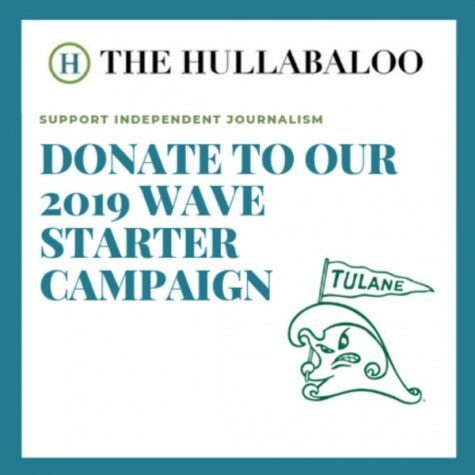 Despite the Green Wave’s woes this season, it is still relatively early in conference play, and it is completely possible for the team to win some games and rise a few places in the rankings. The AAC championships will begin Mar. 14 in Memphis, Tennessee.